As everyone no doubt has heard, Massachusetts’ Class I Senate seat has recently become vacant with the passing of Ted Kennedy. The seat has been held over the years by such luminaries as John Quincy Adams, Daniel Webster, Charles Sumner and Henry Cabot Lodge (the elder and junior). More recently, it’s become known as “the Kennedy Seat” because it has been held since 1953 by the Kennedy family – first JFK, then briefly by placeholder minion Benjamin Smith, and then by Ted Kennedy until this week. Massachusetts’ Senate delegation has been locked in place since 1985, so it’s been a long time since Bay State politicos rumbled for state-wide election to a national office. Both Kennedy and Kerry were challenged a decade ago by Republican contenders (Mitt Romney and Bill Weld, respectively), but both challengers fell significantly short. However, maneuvering that took place while then-junior Senator John Kerry was running for President gives us some clue as to what is going to take place over the next six months as the battle for the open seat begins. Under current state law, the seat will remain vacant until a special election can be held. Ironically, this law was put into place to prevent former Republican Governor Mitt Romney from appointing a senator of his choosing if John Kerry had won the presidency. Now, Democrats are unable to put their own man in place immediately because of a law they themselves passed, overriding Romney’s veto. Kennedy urged the state to overturn the law in his final days, which would give Governor Deval Patrick the opportunity to send a Democratic loyalist to Washington to help push the party’s agenda. While Kennedy’s request was initially rebuffed by the what’s-in-it-for-me state legislature, there have been signs that this resistance is fading. At this point, it seems likely that Patrick will be able to make an appointment. Of course, if we have learned anything from the sagas of Blago and David Patterson/Caroline Kennedy, it’s that gubernatorial appointments of Senators are generally a horrible idea. This wouldn’t be the first dumb idea passed by the Mass. legislature, nor the millionth, so for the sake of argument let’s say it’s going to happen. At present, there seem to be two possible contenders for the appointment, neither of whom would be expected to seek further terms. The first is Victoria Reggie Kennedy, the Senator’s widow. Don’t ask me why there is such a rich tradition of appointing the bereaved spouse of a dead political figure to their empty position, but this has happened many times. Additionally, Vicky Kennedy is said to have worked closely with the Senator for decades, and would be expected to have immediate entree into any Congressional audience she might seek. The idea here goes that Ted Kennedy’s lifelong healthcare quest would be best served by the appointment of his widow. Meh. I’m not sure whether to chalk the persistence of inherited political appointments in the modern age up to laziness or what. Sounds like a terrible idea to me. An idea that is generating a lot of heat at the moment is the potential appointment of former Governor and Democratic presidential nominee Michael Dukakis to the seat. The Duke is still a respected political figure in Massachusetts, and with his electoral buttwhipping by George H. W. Bush receding into distant memory, his image has been rehabilitated somewhat in recent years. Of all potential appointees, Dukakis is seen as least likely to desire to stay on, because he’s a pretty old fella and hasn’t run for office in decades. The diminutive Duke just might ride his tank straight into the Senate. Two other names bouncing around are Kennedy scion Joe, best known for cutting deals with Hugo Chavez to bring cheap oil to New England (and riding around grandiosely on a Citgo oil barge in Boston Harbor in fairly ridiculous TV commercials), and Kennedy minion Peter Meade, who worked closely with the Senator and also recently spent time at health care giant Blue Cross/Blue Shield. Neither of those guys are particularly well-regarded in the state, and neither has close ties to Governor Patrick. Thumbs down. My money says the Governor will appoint the former Governor, and we’ll have Senator Dukakis serving until the special election in January. Which, no doubt about it, would be pretty weird; but undoubtedly preferable to keeping the Kennedy seat in Kennedy hands. Come on, this isn’t a feudal empire. Right??? The really interesting questions pertain to the candidates in the special election. Who’s going to run, and who has the money and the savvy to win? There are a handful of really well-qualified candidates, each with their own constituency and sources of funding. Many of these candidates have long been biding their time for a major seat to open up, and are probably having trouble restraining themselves until the funeral services are complete. The #1 seed right now in this Mass. political tournament bracket has to be Attorney General Martha Coakley. Let’s face it: the Democratic party is first and foremost the party of women, and for the supposedly most liberal state in the universe, Massachusetts has only a single female in its entire Congressional delegation (Congresswoman Niki Tsongas, herself the wife of the late Senator Paul Tsongas). Coakley, the former DA of Middlesex County, easily coasted into office in 2006, and has been not-so-quietly eying Teddy’s seat since he was taken ill.
What Coakley has going for her is a fair amount of name recognition and the experience of running and winning a statewide election. THE FIX’s Chris Cilizza notes that she has already done polling on her chances in a special election and continues to move forward with a bid. Coakley can be sure to draw the women’s vote and might win some men over as well with tough-on-crime bona fides. However, Mass. is not quite as socially liberal as some might think, and it’s not a complete fluke that Coakley is the highest-ranking female elected official in the state. The patriarchy is strong, and several gents will be vying to take her down. Congressman Stephen Lynch is as close to a conservative contender as you’re likely to see in this race. He’s a Democrat, but the kind of working-class Democrat that listens to the Dennis & Callahan right-wing morning show on WEEI. Lynch is staunchly pro-life, and a former ironworker who has extremely close ties with organized labor. He only voted for the TARP after he voted against it. Lynch is said to have $1 million sitting in a bank account, and his strategy would be to run to the right of the rest of the Democratic field. Given the political climate in the state at the moment, this is a pretty promising strategy, but the fact that it’s Ted Kennedy’s seat will probably work against him. It seems unlikely that Massachusetts voters would send someone in Ted’s place who might undermine Obama’s agenda. Congressman Michael Capuano is also sitting on a hoard of political gold – several hundred thousand at least in his political coffers (the Globe says $1.2 million) – and has a strong power base in the white-collar suburbs. Capuano hails from Somerville, but his working-class roots are belied by his basis of support among the Cambridge intelligentsia. The merits of this attack aside, it’s nothing if not entertaining. Capuano will have to face down strong opponents from the left and right to win the seat, but outbursts like that would go a long way towards winning my vote. The wild card is former Congressman Marty Meehan, now the Chancellor of UMass-Lowell. Meehan was all geared up to run for Kerry’s seat, but retreated into academe when his dreams were Swiftboated. Meehan has FIVE MILLION stashed away in his House account that he could bring into play in a Senate bid. He was a powerful House politician before his retirement, and still has high name recognition and political skills to match. However, political consultant Dan Lynch claims that UMass Lowell probably has some kind of deal whereby Meehan has promised not to run. We’ll believe that when we see it, because a Massachusetts Senate seat doesn’t open up every day. Meehan could run as the outsider candidate, assailing the others with his pet issue, the need for campaign finance reform. Meehan’s deep pockets make him the potential favorite if he jumps in, but so far, he hasn’t. Other potential candidates include various Kennedys…here’s hoping this does not happen. Can we let someone else play in the sandbox for a little while, please? Chris Cillizza claims that the race would be a “coronation” if Victoria Kennedy got involved. Please, no. Some have floated potential candidacies for current Congressmen Ed Markey and Barney Frank. These guys already swing a lot of weight in their current House seats, and might not have much to gain from becoming the most junior Senator around. On the other hand, it’s tough to find a more secure Senate seat given current political trends, and you just never know. The fact that nobody would have to give up their current seat to run in a special election means that you can’t rule anyone out for sure. Oh, except of course for any potential Republican candidate. The strongest statewide figure the GOP has is Charlie Baker, who recently announced his intentions to take on the unpopular Governor Patrick. Massachusetts has elected many a Republican to the Governor’s office, as a means of reigning in the absurdities of the legislature. Baker seems a little goofy to me – check out his website – but his credentials as a member of the Weld administration and an accomplished private-sector executive are sound, despite Mass. liberals’ attempts to tie him to the Big Dig. There wouldn’t be much in it for Baker to change course and pursue a Senate seat that he’s unlikely to win. It would be much easier to take down Governor Patrick. Massachusetts is extraordinarily unlikely to send a Republican to Washington in this day and age. The idea just doesn’t make any sense when he’s got a pretty excellent shot at becoming Governor. 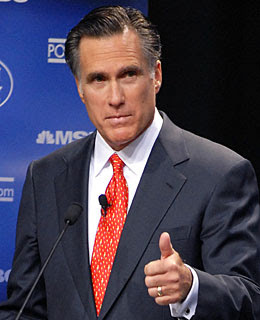 Blogger Peter Roth suggested Mitt Romney should go for the seat as a stepping stone to the Presidency in 2012. Hold up, someone pays this guy to offer these opinions? Without exaggeration, this might be the stupidest political blog post I’ve ever seen. Firstly, the argument is fundamentally bogus and sloppy. Despite sagging poll numbers, Obama is still far more popular than congressional delegations from either party. Yet he’d singlehandedly flip a senate seat in a deep blue state due to his allegedly massive unpopularity? Illogical in the extreme. More to the point, I have no idea what would be in this for Romney, nor why the state would elect him to the post. Romney has already attempted to parlay a Massachusetts office into the Presidency once, and royally annoyed the state’s electorate in the process. There is no way he could stage a run without somehow vowing not to quit after two years, and thereby open himself to the old flip-flopping charges if he did. Moreover, the political stances that he would be required to assume in order to win the Mass. Senate seat would completely torpedo Romney’s chances at winning Republican primary votes in red states. This idea makes no sense whatsoever. For anyone. Go away, Peter Roth. The bottom line: Coakley has to be considered the favorite for now, but if Meehan gets involved, his money could clear the field pretty fast. For entertainment purposes, you have to hope Lynch and Capuano get in, setting the stage for a political battle royale as the seemingly solid Massachusetts electorate splinters into its constituent parts. All I know is, it’s time to pass the “Kennedy Seat” on to a non-Kennedy family member or flunkie. They’ve controlled the seat since Ike was president. It’s time to move on. 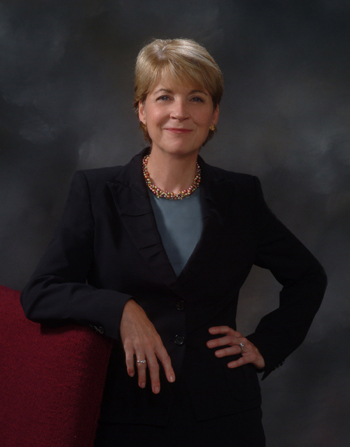 UPDATE 9/4/09 – Vicky Kennedy is out, Coakley is in. Lynch appears poised to get in, and my sources in the Capuano family indicate the Congressman from Somerville will run as well. Curt Schilling has made noise about getting in the race, but he’s ineligible to run as a Republican and my hunch is that he’s just enjoying the publicity. State Senator Scott Brown appears to be the most prominent Republican testing the waters. 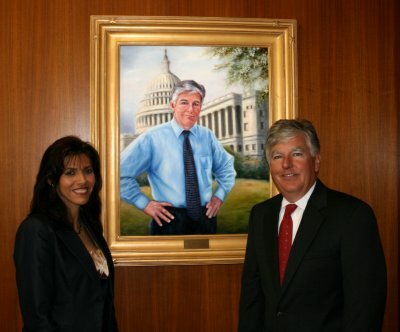 The new blog kennedyseat.com looks like an amazing clearinghouse for all information surrounding this special election, so check it out.